Take two love affairs… one with food, one with people… and combine. Add the perfect venue – 35m from the waves at surf mecca Jeffrey’s Bay – and the result? a gourmet eating experience called Kitchen Windows. The idyllic beachfront location inspired the decor of the restaurant interior … warm terracotta floor tiles, an abundant use of wood, a glass “wall” of sliding doors looking out to sea… perfectly rounded off by the attentions of a band of delightful, well-trained staff. 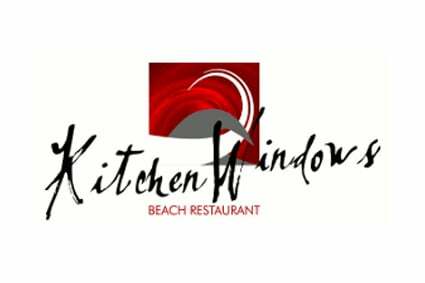 Kitchen Windows boasts a delectable a la carte menu. Unquestionably the favourite with the locals is the kingklip – baked in a wood-burning pizza oven, smothered in a white wine sauce with the merest hint of garlic, and covered with shrimps and mussels. Now step forward the meat-lovers and submit to a flame-grilled steak, stuffed with raw garlic and drenched in a sublime garlic butter sauce… And to end a perfect evening, savour the smoothness of the utterly wicked chocolate mousse… the recipe’s a secret no-one’s selling! Open 7 Days a Week! Beautiful sea views from the tables, close to the main beach Excellent food! Almost on the beach, the roar of the sea, shouts ‘holiday’. The sea sand underfoot takes the theme further in this unique South African restaurant. The Esse stove (where the heart-warming, old-style home-baked loaf, pâtés and jam await) and quaint bucket lights fi t right in with the enamel crockery. Include choices such as braaivleis with delicious pap and sauce and hearty, sticky oxtail. Then on to the freshest seafood assortment – only the out-of-season is imported from anywhere else. It’s open air, but sheltered, ultimately relaxing, but frequently buzzing. Neat, friendly waitrons move briskly between the tables to deliver the treasures of land (including some good enough wine choices) and sea, while children play in the sand nearby. It’s not a restaurant visit so much as joining an evergrowing club of satisfied friends of Die Walskipper. 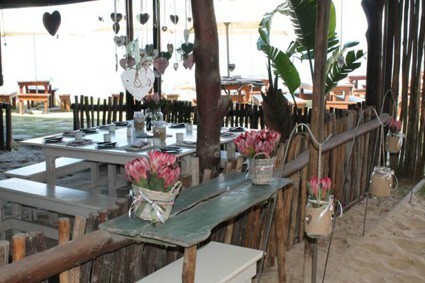 Cuisine: Seafood,South African Ambience: Comfy & Casual, Family Friendly An open air family restaurant on the beach. Just outside town. You sit with your feet in the sand and all food is prepared on an open fire. Specialising in seafood! This family friendly restaurant has crayons and paper aplenty to keep young diners occupied while parents enjoy beautiful sea views in good or bad weather. Very reasonable prices and a huge variety of dishes from the popular and flavoursome hot Thai seafood pot to the tasty, impressively fresh munch basket. Add fun combos, plenty of ‘landlubber’s delights’ and then you’ll understand why its popularity with locals and visitors is no mystery (unlike the story of the ship after which the restaurant is named). The award winning wine list, welcoming service and chalkboard of enticing specials on the way in complete the picture. 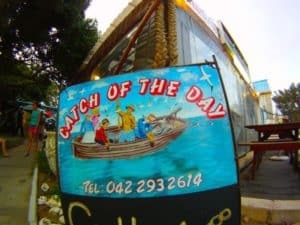 Located in central Jeffrey’s Bay, opened in November 2003 and has quickly developed as a popular restaurant for both locals and visitors alike. Located above Jeffrey’s Bay’s Country Feeling surf shop, the décor is decidedly Mexican with wall murals painted by well known local artist Steven Bibb. The cocktail bar also often doubles as the local golf club’s 19th hole with fellow members joining golfers Michelle and Warren back at the restaurant. An extensive range of cocktails includes the superb Blue Margherita and can be sampled on the deck whilst watching the day’s last waves roll in on J Bays famous Kitchen Windows beach. 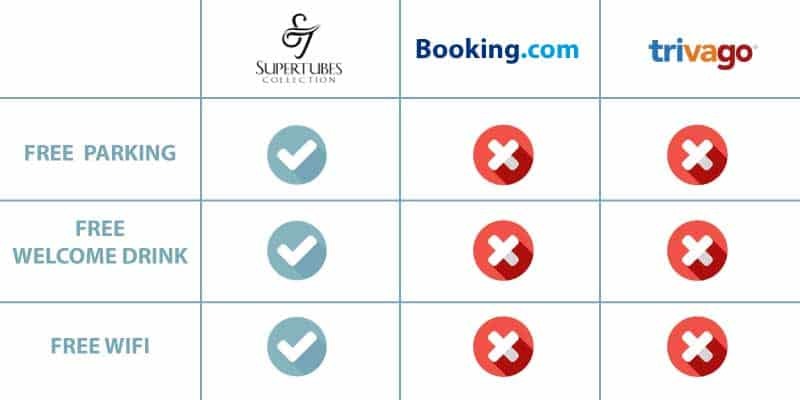 Excellent service is augmented by a unique Mexican flag system. Each table has an orange and blue flag. Orange – help needed, Blue – We are OK. Popular dishes include Enchiladas, tortilla filled with re-fried beans & choice of chicken or veggies topped with sour cream & grilled cheese served on rice with sour cream and guacamole. Chicken or beef Fajitas, crispy Flautas and the infamous Chilli Con Carne are just a few of the other traditional Mexican dishes. 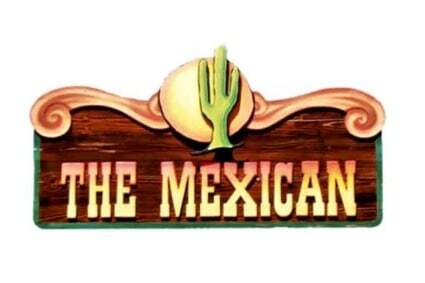 The Mexican, however, is not limited to Mexican food and offers excellent seafood as well as steaks and grills with a choice of Adoba or BBQ basting. Nina’s Real Food was opened by us, the Smith Family, in Jeffreys Bay in 2010. Our successful take-away in East London was established in 1989. We relocated to Jeffreys Bay as we are passionate about the town, lifestyle, people and obviously the surf! Nina’s is named after our first born daughter who passed away very young. We have since been blessed with three beautiful surfer girls who are all hands on in the family business when not competing or just surfing! If you’re looking to be healthy or indulge some winter curves we have it all. From chia pots to hearty ostrich steak and eggs for breakfast, from poké bowls to pulled pork nachos and lamb rotis, nibble on a fresh crunchy Mediterranean salad or tuck into our loaded burgers or succulent seared tuna and Portuguese calamari. Whether your a gluten free, vegetarian, gourmet taster, sugar free, plain Jane, carnivore, comfort food lover, carb only or Banter – we have a meal for you. Our aim is to bring the simplicity and goodness of Italian cuisine to this very special corner of paradise – Jeffreys Bay. Come sample our variety of meals on offer! 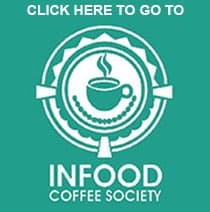 Infood is a foodie hot spot offering everything under one umbrella. Good coffee, Artisan breads, wholesome food, deliware, catering and venue hire. The Greek is a local gem. With world travelers, locals, foodies and families visiting The Greek daily. Once you have been to The Greek you will forever be part of The Greek’s family. The success of The Greek is down to 3 beliefs. 1. 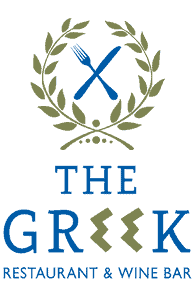 We do everything the Greek way: We only use the best fresh local produce cooked the authentic greek way in clay ovens and open grills. 2. The second belief is, a restaurant is more than just food, it is about good company, good music, good atmosphere, good conversation and becoming food friends. 3. Uncle George’s philosophy on life, food, love and everything in between. Welcome to The Bay Pasta Company in Jeffreys Bay, we are an Italian / if we like something we’ll mix it up restaurant! We simply love food and we seriously love to feed you. 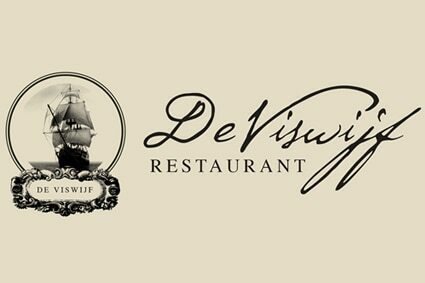 We are one of Jeffreys Bay’s most popular restaurants, and it is no only because of our incredible food… We have fantastic staff who will make you feel right at home, a super unique ambiance and a kiddies play area that you will have to see to believe. 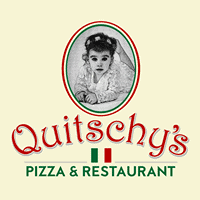 View our diverse menu right here on our site! You are bound to find something that will soon become a favorite dish of yours. We are incredibly well known for our Pizza & Pasta but that’s not to say we don’t put just as much love into our other dishes. There is something for everyone on our diverse main course menu… Not to mention our homemade desert menu that you won’t be able to say no to! Join us for the most mouth watering prawns, fish and calamari, choose from our selection of Steaks, Salads, Platters or combo’s. Be sure to enjoy a relaxing glass of wine while taking in the sunset and beautiful ocean views of Jeffreys Bay.